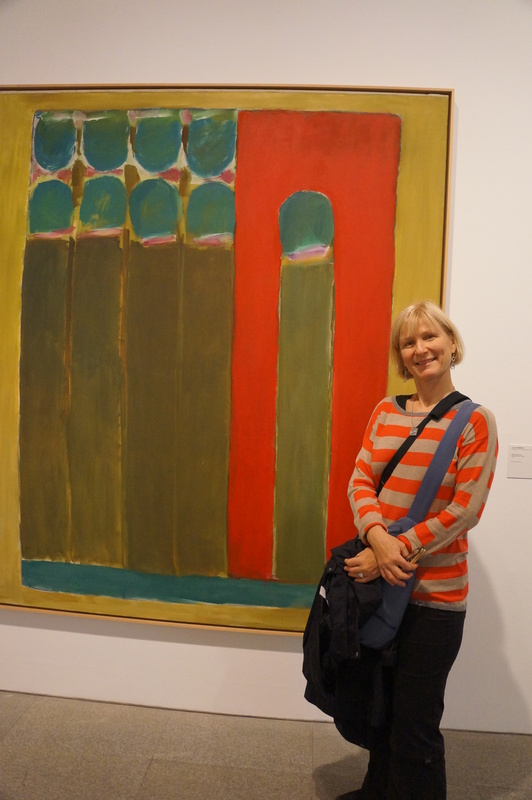 One reason we wanted to go to Madrid was for the outstanding art museums. 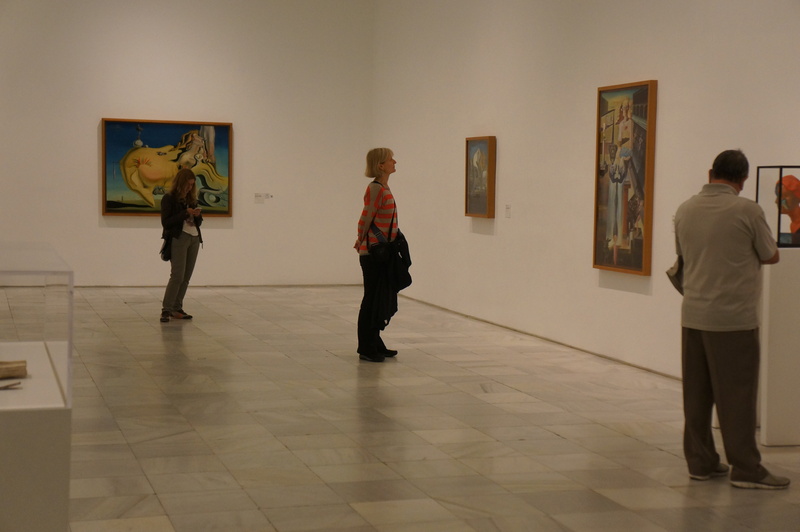 We started with the Museo Nacional Centro de Arte Reina Sofía, an old hospital recycled as an art museum. Just walking around the environment was very interesting; it’s hard to believe it was still in use in the 1960s as it seems very ancient. 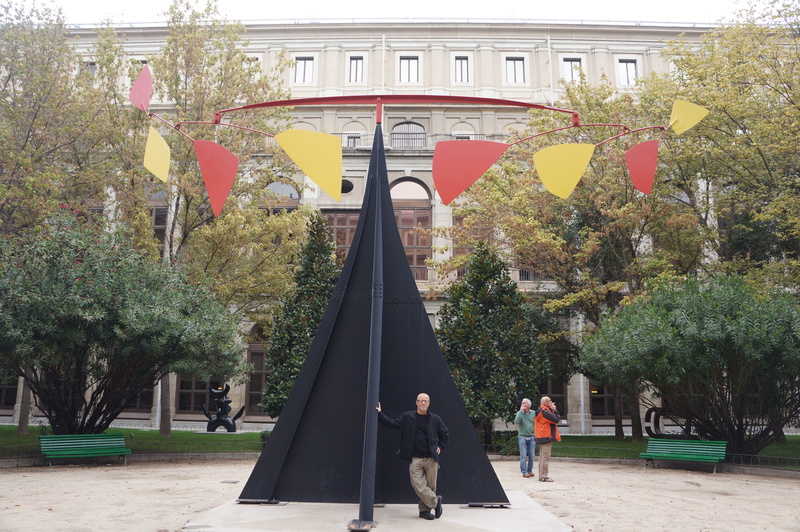 This is where Picasso’s Guernica is housed. 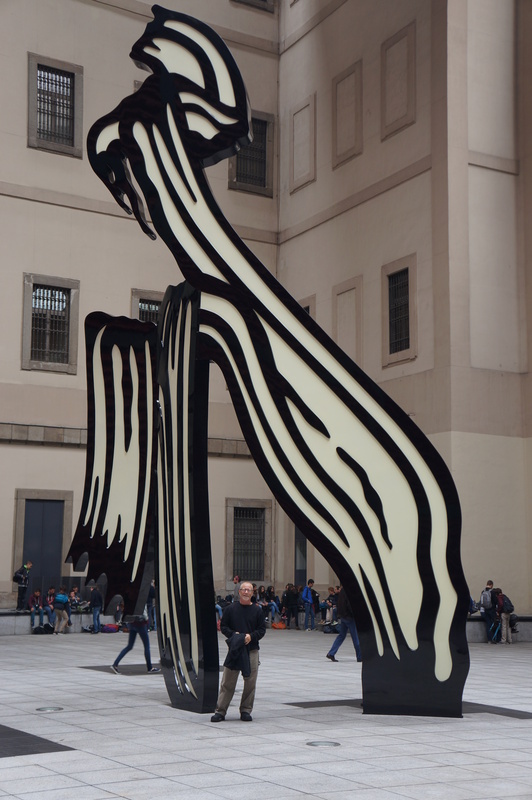 They were deadly serious about not letting anyone take a picture of it as the no picture policy actually starts several rooms before the Guernica room. Follow the link to see the image and learn about its history. It is fascinating. One has to see this iconic and world-famous painting in person to really appreciate it fully. It really made an impact, I must say. We had to wait for the Japanese tour bus to clear out as they monopolized the whole room for a time, but then we could get close and take it all in. 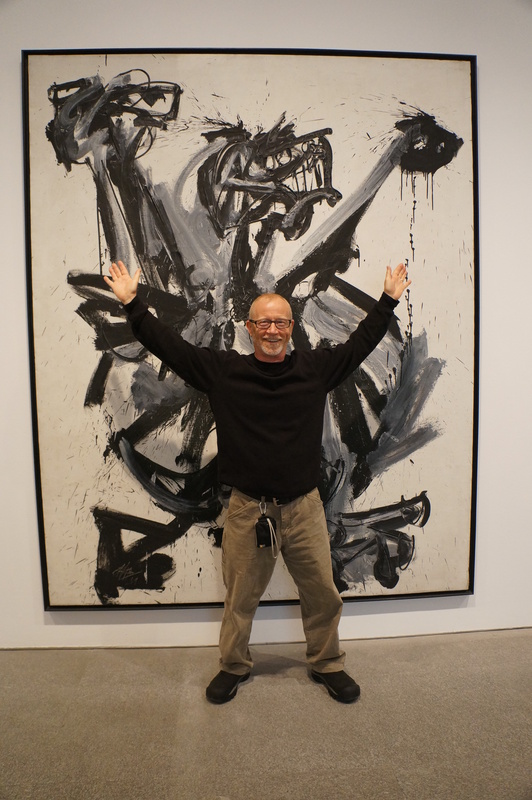 It is a painting which is difficult to view without emotion because it depicts the ravages of war in such an abstract way and in such an enormous size that it feels overwhelming. One of the most interesting features of the room is along the back wall where there is a display of photos taken by Picasso’s girlfriend at the time he was painting it. It shows his process, to a degree, as he changed his mind about several elements and it is fun to compare the photos to the finished painting. 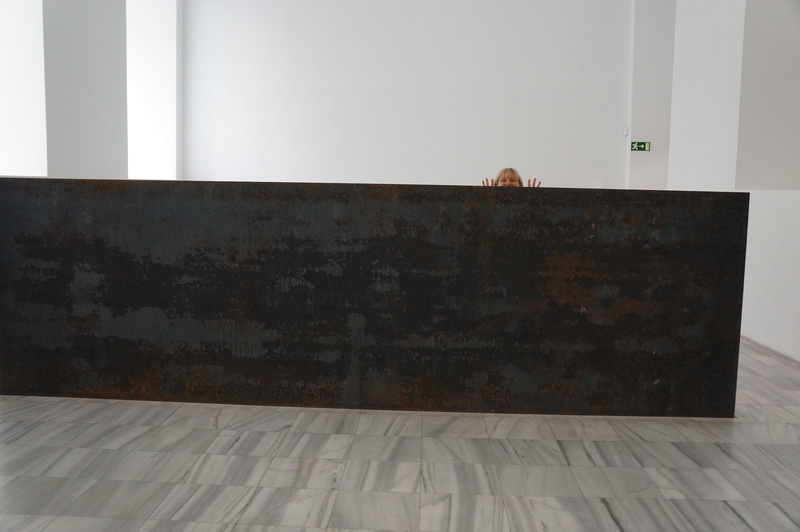 Lastly we enjoyed the Richard Serra “Equal – Parallel: Guernica – Bengazi” which are just huge hunks of iron so indestructible they don’t have guards anywhere near them! What a great first day in Madrid! Some tapas and beers were definitely in order after all this art fun.